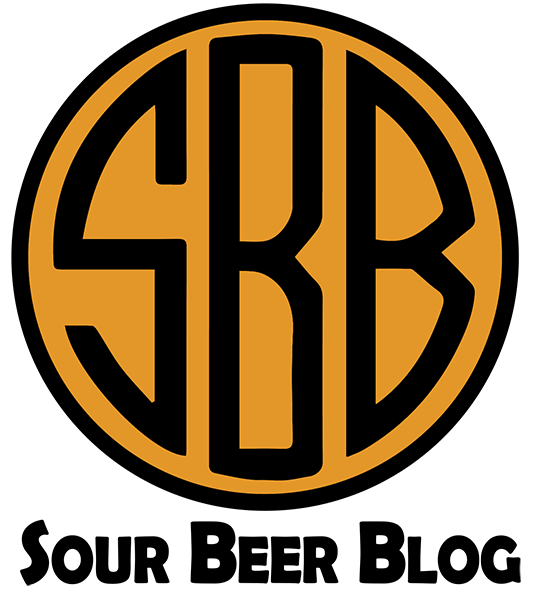 Those of you who listen to the sour beer and brewing podcast The Sour Hour will know that from time to time I have had the pleasure of being interviewed on the show. If you haven’t tuned into the live show or downloaded the podcast episodes, you absolutely should! The Sour Hour is a tremendous wellspring of sour brewing education. The format of the show finds it’s host, Jay Goodwin, head brewer and co-founder of The Rare Barrel, both answering listener questions and interviewing other well known sour brewers with the help of his co-host Scott Moskowitz of The Brewing Network. After several opportunities to participate on The Sour Hour, I very much wanted to reverse roles and invite Jay Goodwin to be interviewed on my website: An offer which Jay graciously accepted. Fortuitously, my newlywed husband and I decided to take our honeymoon in San Fransisco at the same time I was arranging Jay’s interview. Even though we were without transportation, we are not ones to pass up an excellent sour beer drinking experience. So we grabbed an Uber ride to Berkeley and were rewarded with not only a fantastic sour beer tasting, but also a behind the scenes tour and chance to talk shop with Mike Makris, one of The Rare Barrel’s talented production team members. To top off an already amazing experience, we were also generously sent home with a sour beer goody bag, several beers from which fellow site author Cale Baker and I recently sat down to taste! So without further ado, let’s learn more about The Rare Barrel and the delicious sour beers that they produce. 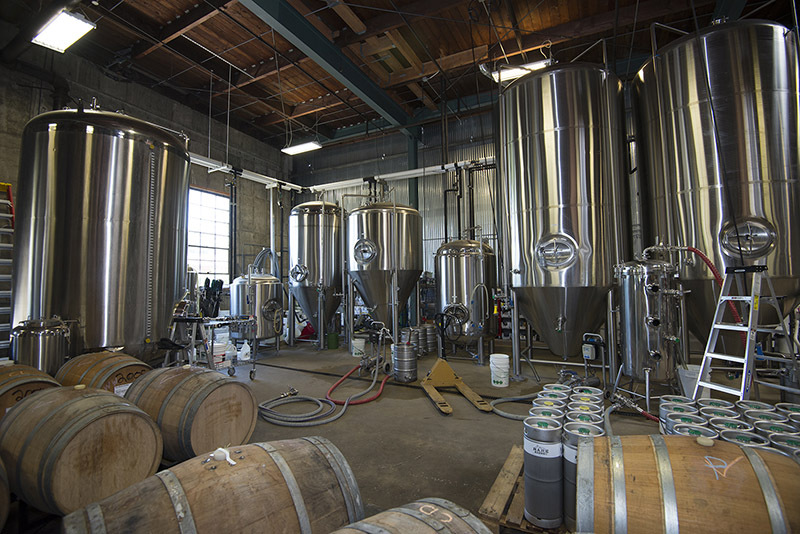 The Rare Barrel was founded in 2012 in Berkeley, California by Jay Goodwin, Alex Wallash, and Jay’s father Brad Goodwin. Jay and Alex were college roommates, and it was actually Alex’s purchase of a homebrew kit that kick started their path toward professional brewing. After college, Jay landed a job working for The Bruery in the nearby town of Placentia, another California brewery with a robust sour program. After 4 years of learning and developing his love of barrel aged sour beers, Jay left The Bruery and founded The Rare Barrel. 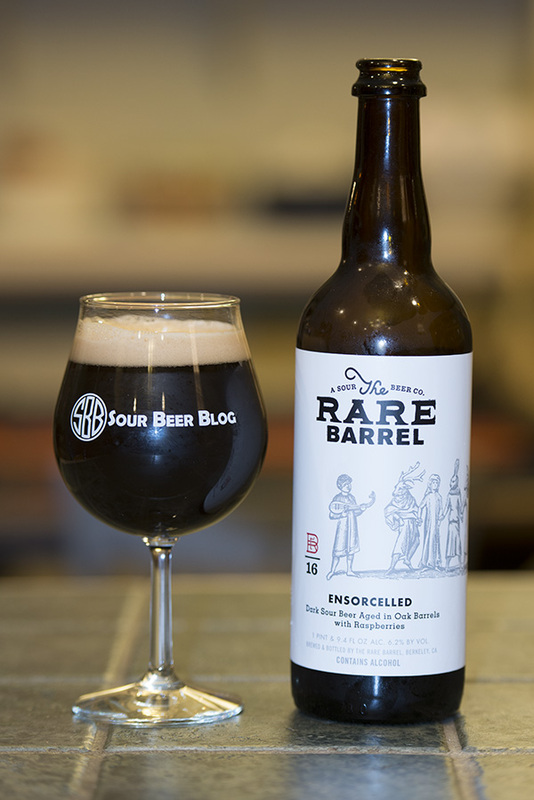 The Rare Barrel was named after a sour beer barrel whose story is now a legend among craft beer circles: PH1. Check out Gail Ann William’s and Steve Shapiro’s excellent account of PH1’s journey in BeerAdvocate Magazine. 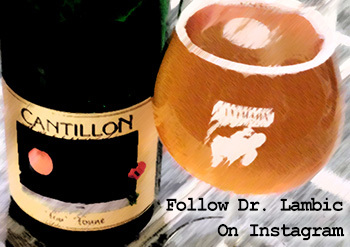 Dr. Lambic: Can you remember the first sour beer that got you interested in brewing these styles? Jay: Oude Tart from The Bruery… although I don’t think it had a name when I first tried it out of the oak barrel. It was Tyler King’s recipe (my old boss) from his homebrew days. That beer went on to become one of the most decorated sour beers in GABF/WBC history. It’s still terrific to this day. 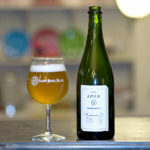 Dr. Lambic: In your brewing experience, what was the first sour beer that you felt really worked out well? Jay: Well, based on my previous answer, I’d say Oude Tart. 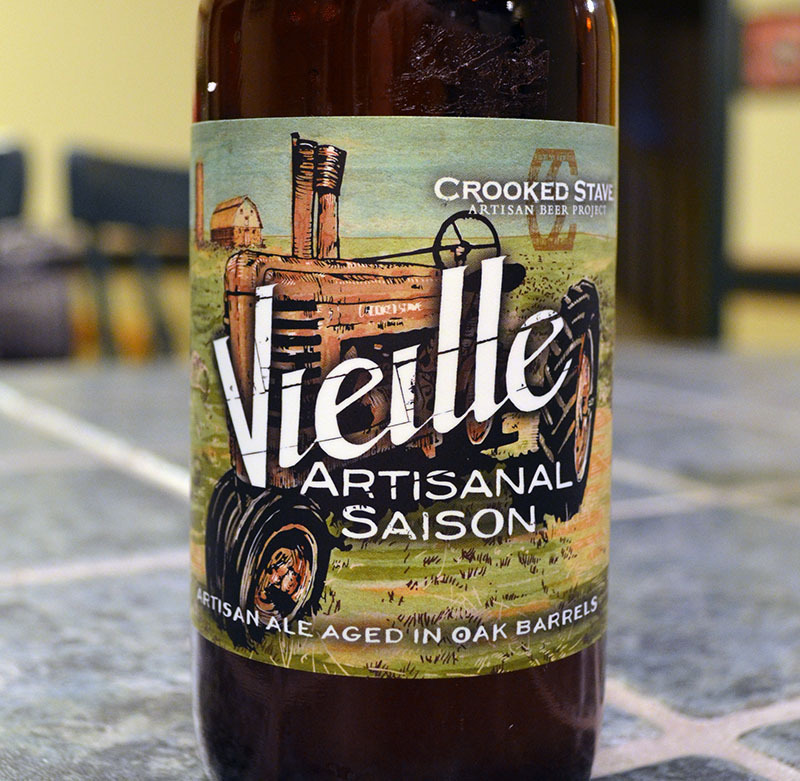 I wasn’t intimately involved in its production, but blending and cellaring that beer was a treat. In my TRB era, I think Ensorcelled stands out. It’s a beer, like Oude Tart, that just had something special going for it from early on that you could see even when it was in the barrel. Luckily it was one of the first beers we ever released and I think that helped us out quite a bit. Dr. Lambic: What do you think are the most successful elements of your sour program and what challenges have you encountered? Jay: Same answer for both: our experimentation. It’s not the most efficient way to make sour beer, but it’s possibly the most fun! We have to dump so much beer that are experiments gone wrong, but it’s the one that makes it through that really makes it worth it. As it tends to be the case when a new brewery opens, Jay found himself wearing many hats early on. During the brewery’s first years, Jay was heavily involved in all aspects of the brewery, from construction and wort production to cleaning the tanks and more. As a testament to the quality of their blends, The Rare Barrel has grown significantly since its first beers were sold in October, 2013. This success has allowed the brewery to bring on a number of new team members, including a full production team for maintaining, measuring, and blending beers from their collection of over 1,000 oak barrels. 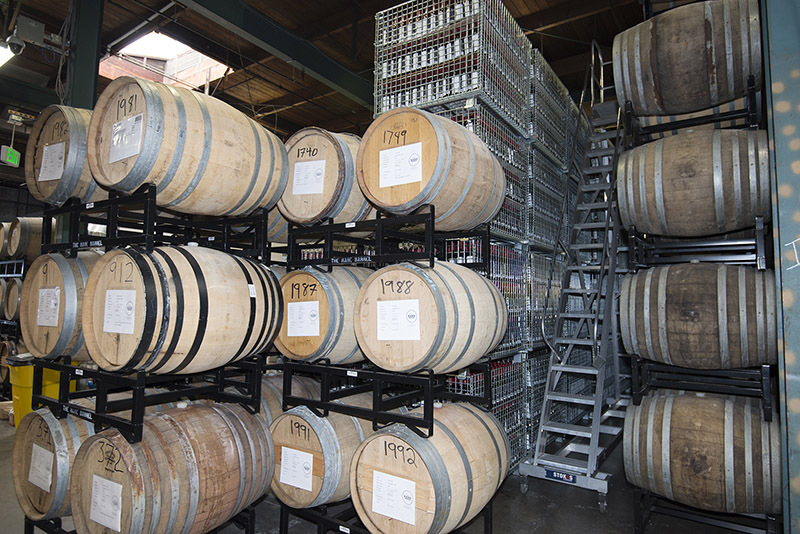 In fact, the brewery is on track to produce over 2000 bbls of finished sour beer by the end of 2016. These days, Jay finds himself doing more traveling to promote the business, performing administrative duties, and working on The Sour Hour podcast. When asked about the shift in duties that has come with growth, he remarked that he still gets to facilitate many of the production decisions, but that now his talented and capable team designs and blends most of their sour beer creations, and that he has had a great deal of fun getting to watch them take ownership of the process and achieve terrific results. During our tour of The Rare Barrel, we were greeted by enormous rows of oak barrels as well as a number of beautifully gleaming stainless fermentation vessels, but no brewing system. This is because all of the wort that eventually becomes sour beer at The Rare Barrel is actually brewed off-site, through collaboration with several local breweries. Brewing Network fans will instantly recognize the name of Heretic Brewing Company, founded by fellow show host Jamil Zainasheff, which at this time facilitates the production of the majority of the wort fermented and aged at The Rare Barrel. The worts utilized by The Rare Barrel follow one of three basic recipe designs to allow for blending flexibility: Golden, Red, and Brown. After arriving at their facility, most batches of wort will undergo primary fermentation in stainless steel tanks before being transferred to barrels for extended aging. When asked about the various fermentation schemes used, Jay indicated that this was one of the most varied and flexible parts of their process, and that they are continuously experimenting with new microbe cultures, timing methods, and souring processes. The brewery makes use of a number of commercial cultures, but also maintains its own house cultures and frequently inoculates with the contents of recently emptied barrels. Once barrels are full they are sampled periodically at a rate of about 10 barrels each day to screen for off-flavors and outliers. 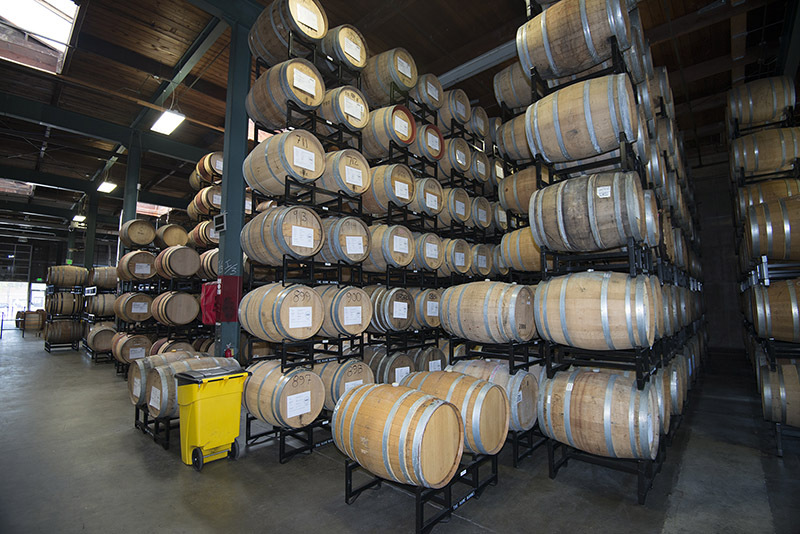 The brewery makes use of spreadsheets on Google Drive as well as a program called Barrel-IT to record, track, and manage data from their growing collection of oak barrels. The Rare Barrel has also become well known for its use of interesting ingredients in the blending process. In addition to a wide variety of fruits, ingredients such as hibiscus, vanilla, ginger, cinnamon, rose hips, and lavender have all played a role in the creation of unique and delicious sour beers. Early on, many of these ingredients were dosed directly into the barrels themselves. However, this method can prove problematic for a few reasons, including the difficulty of removing the special ingredients from the barrels after use and the flavor impact that such oak can impart upon subsequent batches. 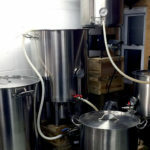 For these reasons, many of the current blends utilize stainless tanks with or without a beer recirculating “Torpedo” device for the addition of fruits, spices, and special ingredients. 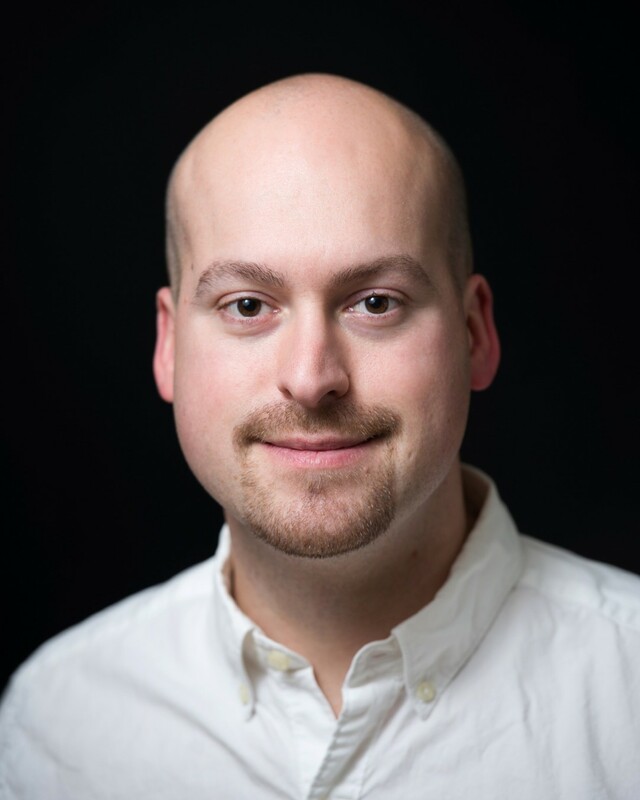 Dr. Lambic: Do you have any plans to incorporate new wort recipes into the program? Jay: There’s so much more to do on the fermentation side that it always gets pushed to the background. We have been using waaaaaay more hops lately to control acidity and perhaps drive more esters. 15-20 IBU of Czech Saaz usually. Dr. Lambic: Do you age any beer without souring microbes as a blending tool? Jay: Yes! Another thing we’ve just started to do a lot more of. We have a whole bunch of Brett Saison aging in oak. It’s been very exciting to work with such aromatic mixes of yeast and wild yeast. Dr. Lambic: Have you seen any trends generationally in your house cultures? Jay: Some of our barrels are becoming more sour, more quickly, and with much less inoculant added. Dr. Lambic: How have you adapted to that change? Jay: The hopping rate and addition of non-sour beer for blending stock has helped. We also realize with our bacteria cultures that they’ve just gotten to be such juggernauts we don’t need to inoculate as early or with as much sour beer. In the cages behind these barrels, thousands of bottles are conditioning before release. After a blend has been created, it is bottled and allowed to condition for anywhere from 8 to 16 weeks before release to the public. During the bottle conditioning phase, beers are periodically checked for the development of carbonation as well as screened for potential off-flavors associated with “bottle shock” such as diacetyl, THP, and sulfur compounds. Once a beer has been blended, conditioned, and given a cool name, it will become available to the public in one of three ways. The first and foremost method of tasting Rare Barrel sours is to visit their tap room. At the tap room, a variety of sour beers (and several wines) are served on draft and sold in bottle. Additionally, extra bottles become available from time to time via The Rare Barrel’s online store, called Online Bottle Access (OBA). Keep in mind that, at this time, you must have the bottles shipped to a California residential or business address when purchasing online. Perhaps the most convenient and stylish way to treat yourself to Rare Barrel beers is to join their Ambassadors of Sour club. The limited memberships to this club are sold annually, and grant members a variety of benefits including 10 bottles of sour beer specially blended for the club, access to online bottle sales before the general public, cool club-only growlers and glassware, and a 10% discount on any beer or merchandise purchased online or at the brewery. For more details, check out their website and keep an eye on The Rare Barrel’s Twitter and Instagram feeds if you would like to be ready for their next membership sale! 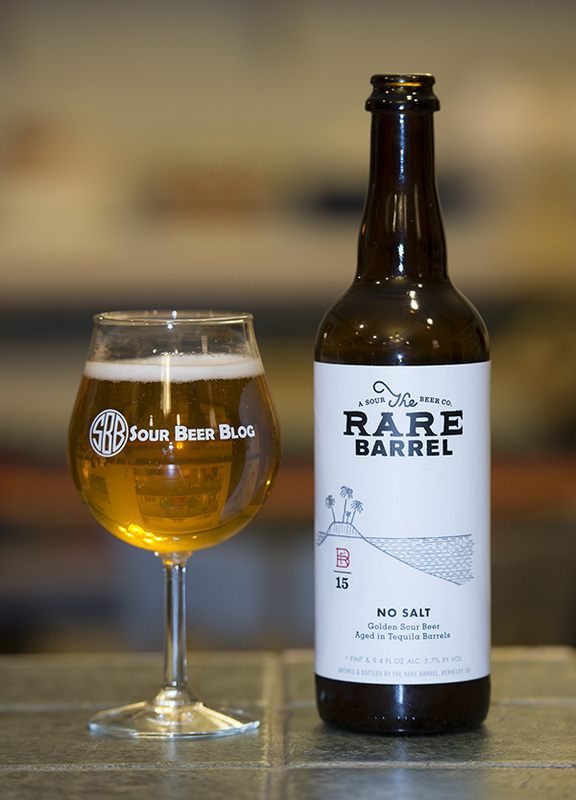 To start off our tasting, we opened a bottle of No Salt, a golden sour beer aged in tequila barrels. The first characteristic that jumped out at us was an enticing oaky aroma that, for myself, smacked of dry white wine barrels. On the other hand, Cale, who has worked with tequila barrels before, indicated that there was a unique aroma to tequila barrel oak. I am inclined to agree with him, the aroma isn’t exactly like smelling tequila itself, but it has distinct qualities that reminded me of that spirit. As a counterpart to this aroma, we picked up definite notes of lactic acidity and subtle undertones of kaffir limes. When tasting No Salt, we again took notice of the distinct wood aging characteristics. The beer was quite sour, with flavors of clean lactic acidity and just a touch of acetic acid rounding out the flavor on the back of our palates. There were no distinct malt flavors nor any trace of hops in the beer. Each sip started with an up-front blast of acidity, followed by a round and pleasant aftertaste of oak, tequila, and citrus. The beer had a light body and medium level of carbonation with a dry lightly tannic finish. As our glasses warmed up, both the tequila flavors and a light presence of hay-like Brettanomyces notes became more apparent. Overall the effect was delicious, a relatively simple beer that showcases some very unique barrel flavors on top of a clean sour backbone with just the right amount of fruit and funk poking through. 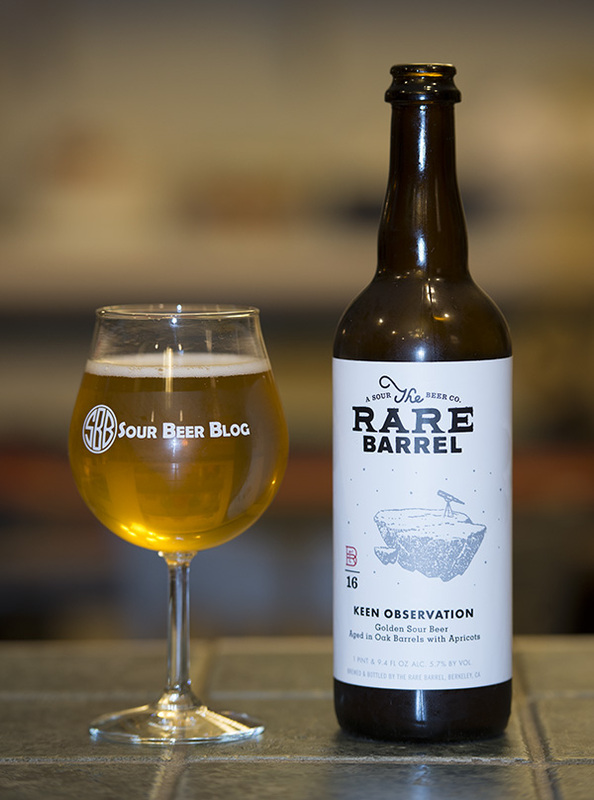 We continued the tasting with a bottle of Keen Observation, a golden sour beer aged in un-rinsed Map of The Sun barrels. 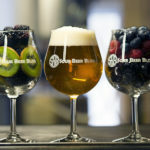 A number of sour brewers have begun experimenting with beers that are aged on fruit that has already been exposed to previous batches of sour beer. 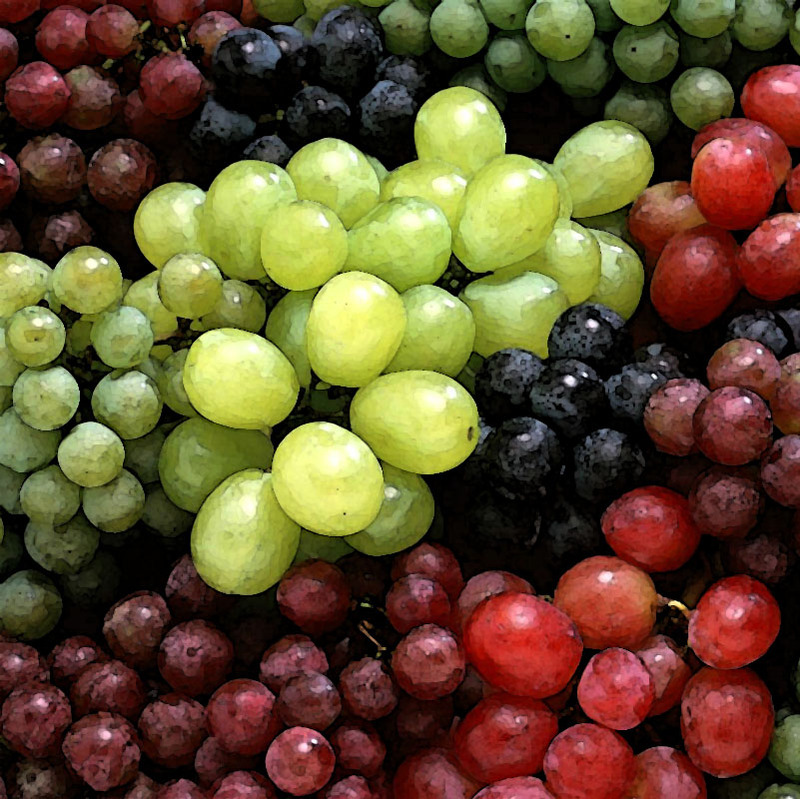 It turns out that these fruits often have a significant amount of flavor left to give, and our experience with Keen Observation further confirms this theory. Dr. Lambic: What do you like to do for fun? Jay: This year I’ve started to branch out into other areas of fermentation / infusion of food and beverage. I started fermenting hot sauce at home, making kombucha and infusing fruit flavors into spirits as well. It’s nice to create good flavors that don’t take a year! 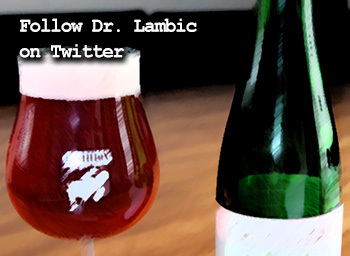 Dr. Lambic: What piece of advice would you give a brewer who is preparing to brew their first sour beer? Jay: Kettle sour. You won’t have to wait as long. Also, within the last 4-5 years, the availability of sour beer information is so much better. 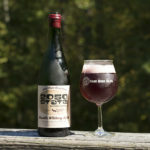 American Sour Beers by Michael Tonsmeire, Sour Beer Blog, the Milk the Funk Facebook group & wiki, and The Sour Hour have made it – dare I say – easy to learn about sour beer! 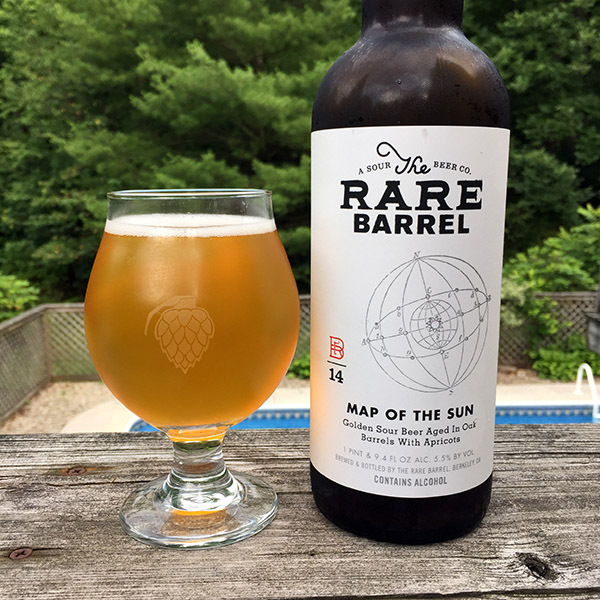 Map of The Sun is a golden sour beer aged with 42 lbs. of apricots in each oak barrel. Cale and I were fortunate enough to taste this beer in the summer of 2015. While we did not have a chance to record detailed notes, we both remember it as one of the brightest, most apricot-forward sours that we have ever had the pleasure to drink. Dr. Lambic: What is one mistake that you would like to see eliminated from or improved upon in the current sour beer market? 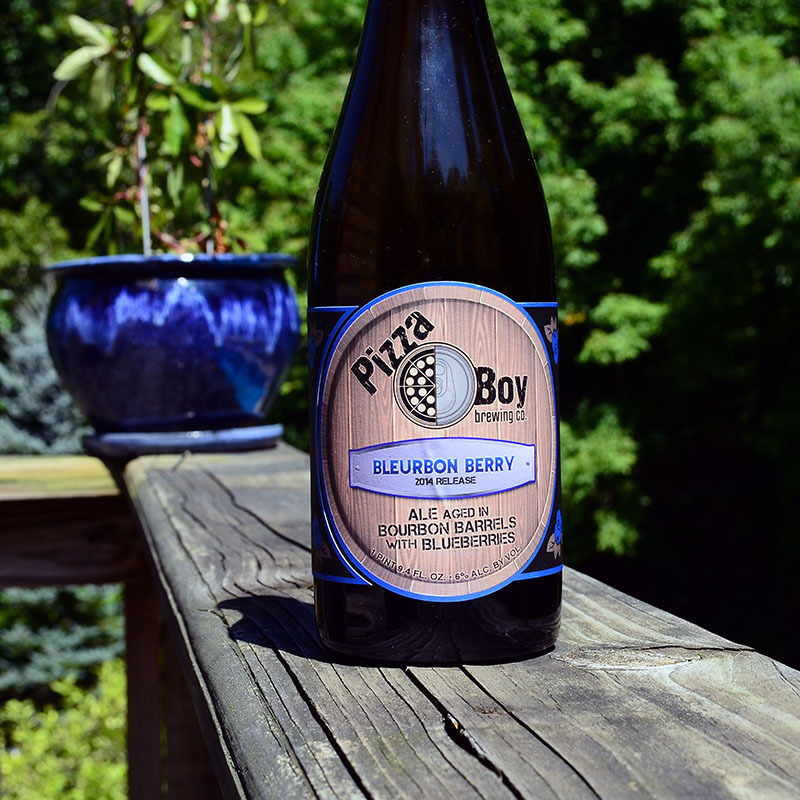 Jay: Labeling could be clearer to reflect the production methods involved in sour beer making. Dr. Lambic: Did your role as a sour beer educator develop organically or have you always held public education as a goal for the brewery? Jay: Sort of. We always wanted to be very open about our process, but I guess we didn’t know how many people would care. I guess I expected to be more of a resource than anything, but signing up to do The Sour Hour changed that quite a bit. It’s been fun bringing people I really respect and admire on the show so everyone gets the chance to hear these incredible brewers speak. The first aromas we detected were the pleasant sulfury stone-fruit notes that tend to be a hallmark of beers aged with real apricots. This aroma was interwoven with a clean plucky lactic acidity and light jammy aromas of apricot pulp and skins. Upon tasting, both Cale and I remarked immediately upon the fantastic balance of the beer. The level of acidity was more reserved than many examples of apricot sours which we have tasted and the fruit notes were at just the right level to avoid stealing the show from the base golden sour. Light notes of wheat and crackers offered a backdrop to a very clean lactic and malic acidity. The beer was medium bodied with a medium level of carbonation and a finish that was just a touch sweeter than what we experienced in No Salt. Keen Observation was definitely a treat to drink! We capped off our evening by uncapping a bottle of Ensorcelled, The Rare Barrel’s award winning dark sour beer with raspberries. While Cale and I have had the chance to taste this beer twice before, every tasting has been an absolute treat. The beer poured a deep black with hints of burgundy around the edges and a light tan head. The aroma was positively bursting with red raspberry juice and jam. These fruit notes stood out above undertones of dark malt, black currant aromas, and the presence of lactic and acetic acids. As the beer warmed and we continued to dig into the aroma we also became aware of earthy spicy notes buried under the bouquet of raspberries. When tasting, we were greeted with bright raspberry fruit flavors and tannins. The dark malt backbone wasn’t roasty, but rather provided a subtle synergy with the fresh raspberry flavors by adding deeper notes of stone-fruit and fruitcake. The beer had a light body, medium carbonation, and a dry savory finish. A touch of acetic acid rounded out an assertive lactic acidity to make this beer possibly the most puckering of the night. Ensorcelled is really one of those beers that you simply have to taste. Its flavor components work together to create a balance and easy drinkability that is rare for dark sour beers. How do you select barrels to include in the program? 90+% are neutral red wine barrels from CA wineries. That’s so we can focus more on flavor produced by fermentation and be able to know that’s where the positive flavors are coming from. Is there any type of inspection/proofing process that they go through? Yes…this is quite extensive. From visual inspection to hoop tightening, to initial treatment and swelling, then to purging and filling, we take barrel care seriously. Even then, it’s never perfect trying to create cleanliness on a porous surface. Before a barrel is filled with beer to age, what methods are used to clean/prepare it? We changed this quite a bit over time. Now we use Ozone and, very soon, steam. This system is what most wineries in the area use when they can afford to move away from Sulfur. Can you review for the readers your barrel storage process if it does not receive beer immediately? Now we keep it dry. Steam will help with that and also help us save water. We used to use Potassium Metabisulfite, but it would negatively affect fermentation or sometimes even the very character of the barrel. Steam is a powerful tool that may be more accessible to most people than Ozone. Between batches, what cleaning methods are currently used if any? Depends, but if we are cleaning a barrel, steam followed by a cold ozonated water rinse is the best way to go. What types of bungs do you prefer for long aging of sour beers? Ferm-rite two part bungs, although we’re about to experiment with hard bunging certain barrels. What do you think is the number one mistake made by brewers using a barrel program? Aha, this questions sounds like one I’m saving my answer for the last episode of The Sour Hour. I’ll plead the fifth on this one for now, but if you want to hear a lot of smart people’s answers on this, check out the podcast! As fellow sour beer educators, I have always respected and admired the work being done at The Rare Barrel. 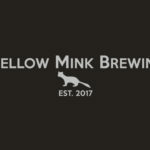 I personally think that their success is a testament to both the delicious nature of the beers that they craft as well as a karmic reward for the benefits that they put forward to the sour beer and brewing community. I hope that this article has been both interesting and educational. 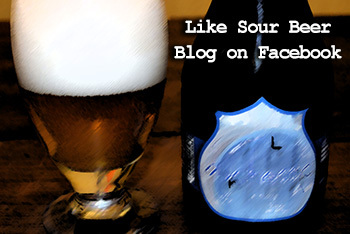 If you are a brewer, you owe it to yourself to listen to The Sour Hour podcast. More so, if you are a craft beer fan of any type, you should definitely find an opportunity to try the excellent sour beers being created at The Rare Barrel. Lastly, I would like to personally thank Jay Goodwin, Mike Makris, and the entire Rare Barrel staff for their generosity and hospitality.